The usage of smartphones globally within the millennial generation is continually increasing and is providing business owners a market for growth with mobile commerce. A recent survey focused on mobile shopping habits conducted among 2000 millennials living in the US highlighted the preferences of millennial consumers. The infographic adjoining this article shares 10 tips on how to improve your mobile commerce strategy with a focus on the millennial generation. The top reason why m-commerce strategies should target millennials is because they are the biggest users of smartphones in the world.The 2016 survey reported that millennials consider online shopping to be one of the top 3 advantage of owning a smartphone. The millennials who are the most thrilled about the prospect of shopping on smartphones are high school students and millennials on maternity or paternity leave. A key part of developing a successful mobile commerce strategy, it is important for online business owners to ensure that they are well-informed about their target audiences needs and preferences. For example, the survey report indicated that approximately half of millennial consumers used their smartphones to buy flowers, order a taxi and booking services. The entrepreneurs of the millennial generation use their phone to order uber and transport services. It was reported that high school students prefer to use their smartphone to order food. Is Online Security Important for Millennials? The research completed on mobile shopping trends among millennials reported that that millennials take online security as seriously as older customers. According to the survey, 42% of millennials reported that they do not feel safe paying for products and services with their smartphone. The data found that approximately 1 out of 3 high school students feel unsafe shopping on their mobile and only 12% of millennials have adopted using a mobile wallet. To deliver a top m-commerce service that millennial consumers will adapt, it is important to ensure that consumer security is a top priority. To learn more on how to develop a m-commerce strategy that reflects the current mobile shopping trend, take a look at infographic. 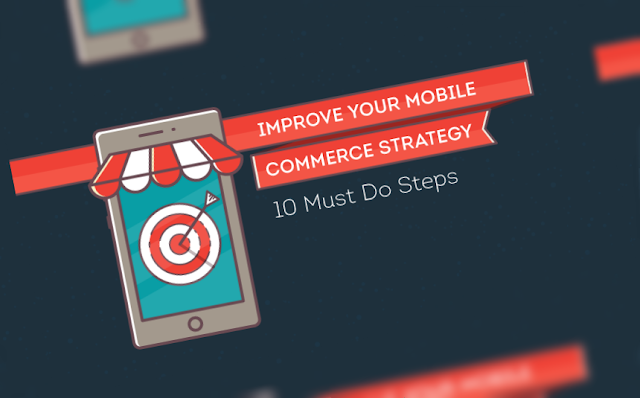 The infographic uses latest data and sources to highlight 10 top tips on how to develop mobile commerce strategy.